There's an old saying that Pop-Culture is never as good as when you were 12 years old. We're going to put that to the test today with this reupload of Real Comics History! Reggie (@reggiereggie) and Chris (@acecomics) discuss the year 1992, when Chris was a lad of only 12. Topics of conversation include the Death of Superman, the world's lamest Paul Revere, Image Comics, Rob Lee-Field (maaaaaan), speculation, trading cards, Wizard Magazine, and much much more. It's a fun chat, and we hope you enjoy! For our half-hearted blog/image depository check out www.weirdcomicshistory.blogspot.com - Currently featuring pictoral evidence of EVERY (to our knowledge) pre-Crisis appearance of the enigmatic Monitor! 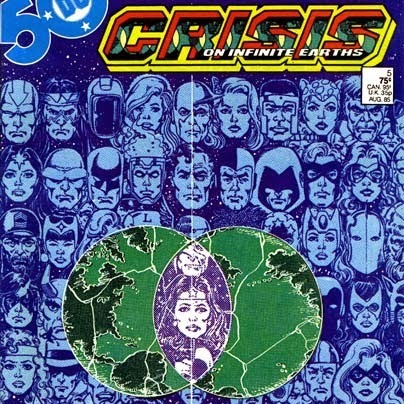 After an unplanned break, our intrepid Crisisteers Chris (@AceComics) and Reggie (@reggiereggie) bring you the fourth of five installments about DC Comics' 1985-86 12 issue maxiseries event, Crisis on Infinite Earths! After some recap, our fellows read issues 9, 10, and pay special vocal attention to issue number 11, providing bios for each character we meet along the way! 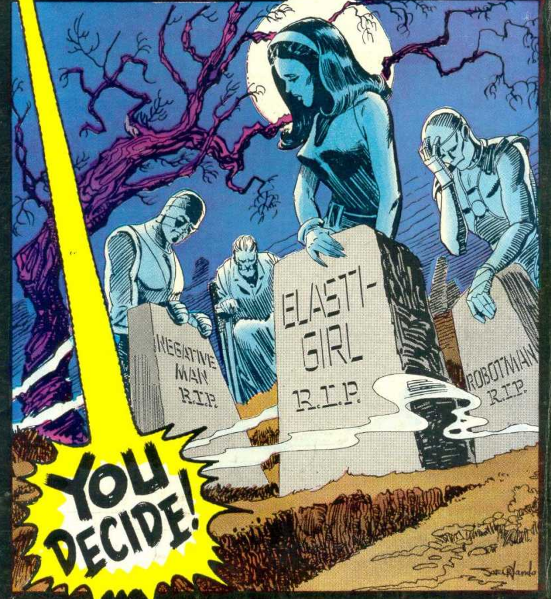 Including, to Chris' chagrin, the Spectre. Plus, at the very end of the episode: The Monitor Tapes! There's one episode left in this series, so you won't want to miss this! 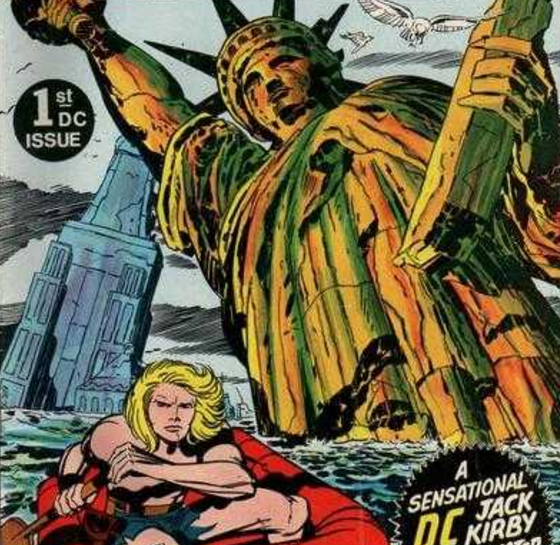 In preparation of the King of Comics, Jack Kirby's 100th Birthday Reggie (@reggiereggie) and Chris (@acecomics) have decided to reupload their (relatively short) chat about Kamandi, the Last Boy on Earth #1 from 1972. Listen in wonderment as they dodge an anthropomorphic menagerie of critters and take that left-turn at Planet of the Apes! Hello! Due to events beyond their control, Chris (@AceComics) and Reggie (@reggiereggie) had to pre-empt their planned episode of Cosmic Treadmill. In lieu of it, they present a segment recorded for the weirdsciencedccomics.com podcast several months ago: a look at the year 1985 as it relates to comic books--and themselves! 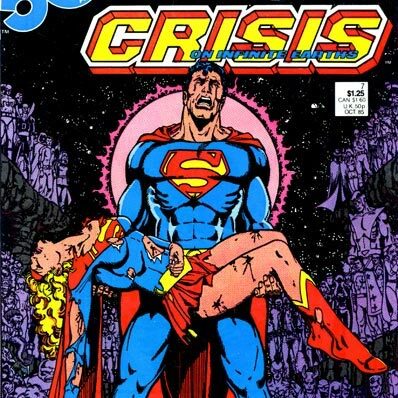 They naturally discuss the debut of Crisis on Infinite Earths, but they also talk about some of their favorite issues from that year--including one that can be thanked or blamed for getting Reggie into superhero comics! It's a different kind of episode that is hoped will entertain while we regroup for the next installment of Cosmic Treadmill. Thanks for your support! What would you do if you were given the opportunity to sacrifice yourself for the lives of people you don't even know? In this reupload, Chris (@acecomics) and Reggie (@reggiereggie) bow their heads to bid farewell to the World's Strangest Heroes as they shuffle (or blast!) off this mortal coil to save the lives of 14 complete strangers living in Codsville, Maine. They also discuss some of the behind the scenes shenanigans leading up to this issue regarding the mysterious (or, not so mysterious) omission of Doom Patrol co-creator Arnold Drake! (Please note that around the four-minute mark, we refer to Arnold Drake and Leslie Waller's merged pen name (on It Rhymes With Lust) as Leslie Drake... when it was actually credited to Drake Waller) Whoops! Wea culpa! Whew! 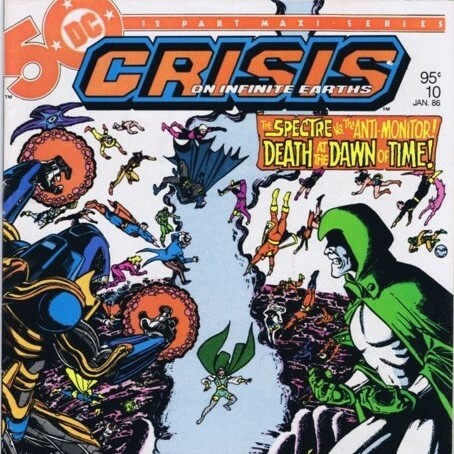 After that blitz of character information last episode, our Crisistorians Chris (@AceComics) and Reggie (@reggiereggie) continue their journey through the 12-issue maxiseries Crisis on Infinite Earths and read some more maudlin issues: six and seven, with special "voice detail" on issue eight! You'll still get all the new character bios, but Chris and Reggie's take on the impact of these titles at the time, and when consumed after the fact. It's going to poke a hole in your Netherverse and rattle your Antimatter Cannon, you don't want to miss it! This time out, Chris (@AceComics) and Reggie (@reggiereggie) have some secrets to share...about the landmark comics event from 1984, Marvel Super Heroes Secret Wars! First, a mention of the actual first event from Marvel Comics that happened two years earlier. 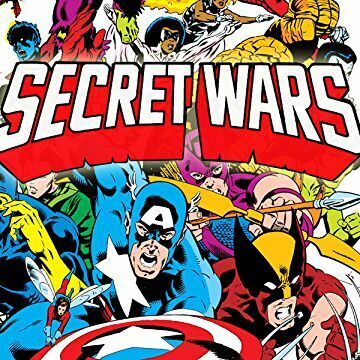 Then, a discussion about the secret origins of the Secret Wars event and a run-down of every issue in the series! 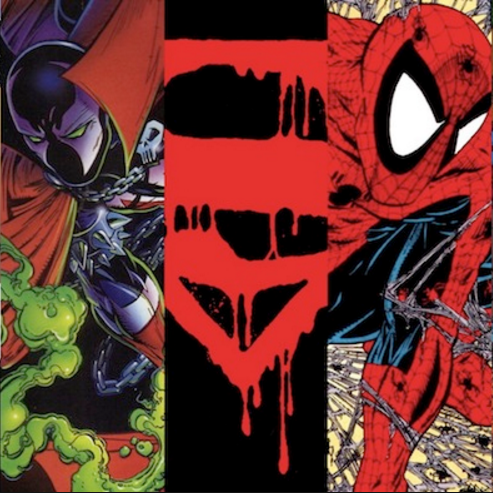 After the break, we take a look at the aftermath of Secret Wars and its lasting impact on the Marvel Universe and comics publishing as a whole, running down some of the biggest events from Marvel and DC from 1985 until today! It's a shocking episode with many twists and turns that are largely wiped away at the very end! Have a listen! 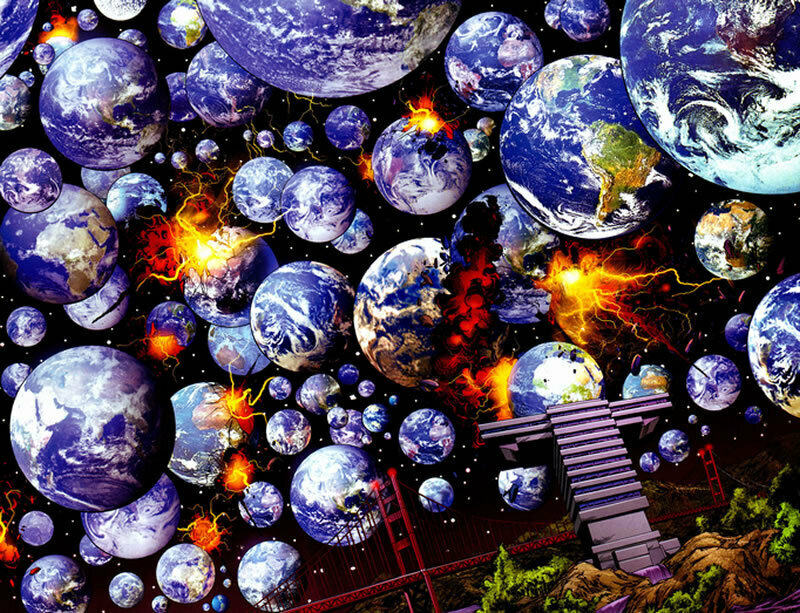 To coincide with the Cosmic Treadmill's (ongoing) 50th Podiversary Crisis on Infinite Earths extravaganza, Reggie (@reggiereggie) and Chris (@acecomics) have decided to dive a bit deeper and discuss the DC Comics (pre-Crisis) Multiverse... like, all of it! They will discuss the "main Earths" most fans already know about, while also covering the nearly one-hundred that were added after the fact in Crisis on Infinite Earths: The Absolute Edition (2005). Don't worry about commiting the name of that book to memory, you're likely to hear it a time or two during the show! Prepare to learn about the skatey-eight hundred times Superman and Lois Lane got married and had children... marvel at the thought of Superman and Batman acting as villains while Lex Luthor plays the hero. Just Imagine a world where all coffee is decafinated and Superboy wears red instead of blue... okay, we made that last one up. Listen as we spoil more formerly "imaginary stories" than you can shake a chunk of Red-K at... and much, much more! Did we leave any of the "infinite Earths" out? Are there any you'd like for us to expand upon? Please reach out! Any listener-theories? We'd love to hear'em! This episode is a doozy! Our intrepid multiversal explorers Chris (@AceComics) and Reggie (@reggiereggie) forge ahead with their look at DC Comics' 1985-86 Universe-destroying and -reshaping maxi-series Crisis on Infinite Earths! Before diving into the comics for this segment, they detail the rest of the JLA/JSA/etc. crossovers not discussed in the last episode. Then, they read issues three through five of Crisis, lending their voice talents to #4 and providing biographical information for every character as they appear in the series. And we do mean EVERY character! It's the longest episode of Cosmic Treadmill yet and we're not even halfway through the series! 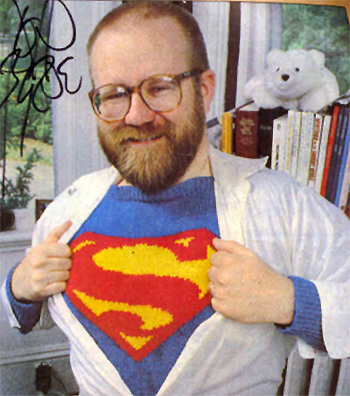 This week Chris (@AceComics) and Reggie (@reggiereggie) bring you the career and conjecture of famous comic book creator, John Byrne! We'll talk about Byrne's early days breaking into the comics industry, his seminal work on X-Men and Fantastic Four at Marvel, and then gush over his post-Crisis on Infinite Earths Superman reboot beginning with the Man of Steel miniseries! Then we'll go into his more recent career, and go into his infamous commentary for which he is probably known best these days. Prepare to get "Byrned" by one of comic books' most prolific and outspoken creators!